Do your clothes need to be as one-of-a-kind as you are? 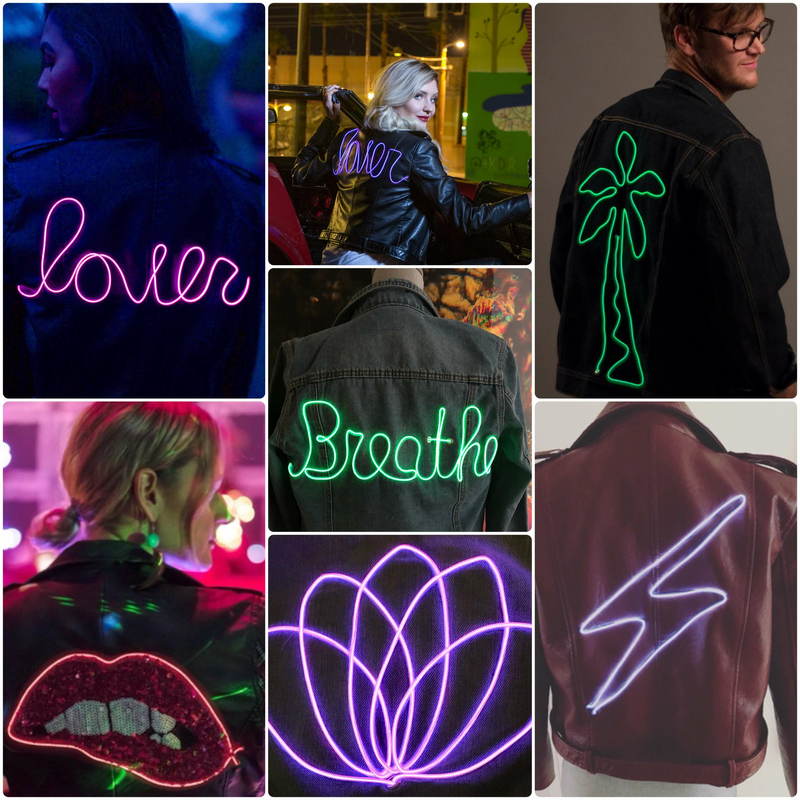 Create the custom light-up jacket of your dreams. This is a perfect unique statement piece for a night out, festival, branding, bridal or to let your passion shine. Follow the steps below and fill out the form to receive a quote. Don't see a jacket you like or your size? Need more details on the jackets below? Message us below! DENIM (AS PICTURED) SIZE GUIDE. FAUX FUR VESTS (SHORT/LONG), SHORT & LONG COATS. 20+ COLORS, MULTICOLORED, LEOPARD. YOU TELL US WHAT YOU LIKE AND WE WILL MAKE IT. FAUX FUR: VESTS, FULL LENGTH COATS (AS PICTURED). All text is written in a handwritten cursive font. Please specify if it must be in block letters. 1 word recommended. Max 2-3 words. All of our designs are one line drawings, but we get creative. Need help or inspiration? Message us for ideas, inspiration or to brainstorm your ideas. 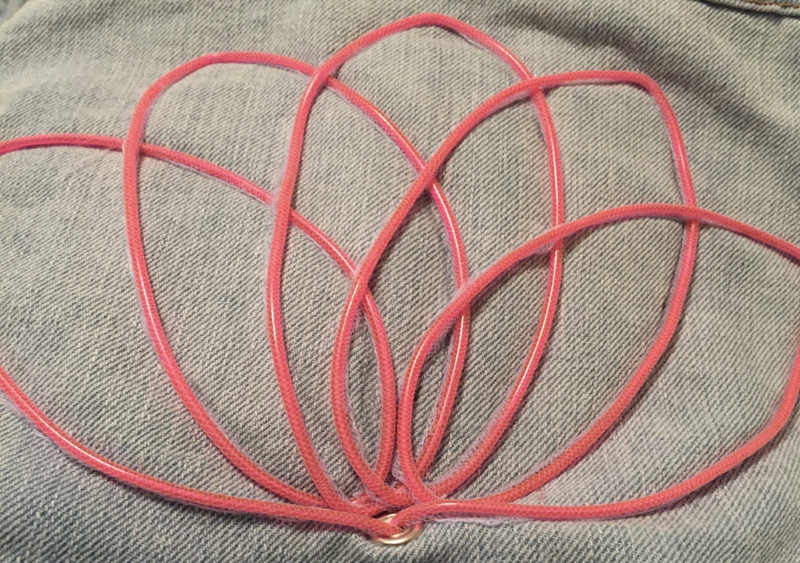 Designs can slightly differ than mock-up drawing due to the flexibility of the neon wire. Designs are sewn into jacket with special mesh material. 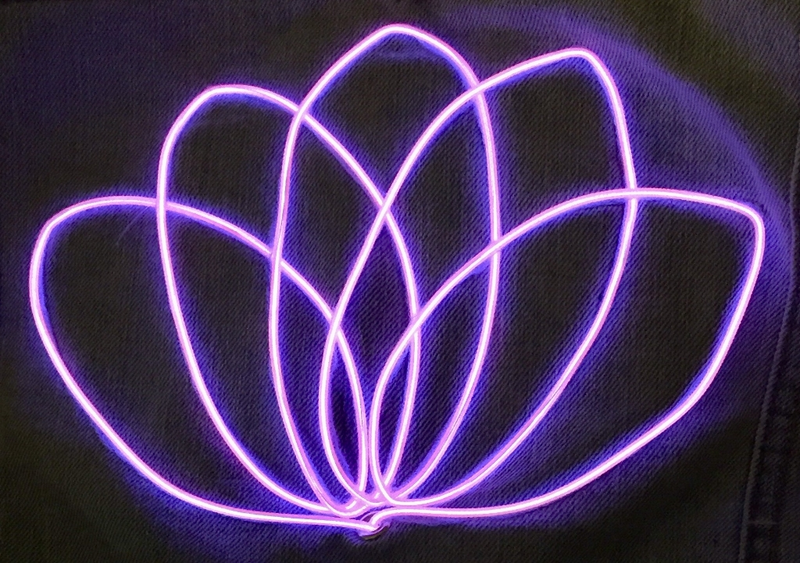 Example of design lit up. Light-up designs have four modes to suit any of your moods: Off, On, Slow Strobe and Fast Strobe. They run on a small (1.25” x 3.5”) light-weight battery pack that requires 2(AA) batteries (included) and are stored in a secret pocket in the jacket. International Shipping available. Price based on location. Having issues with your design? We will fix it. All of our illuminated jacket designs are hand-made in the USA. Rush handling available. 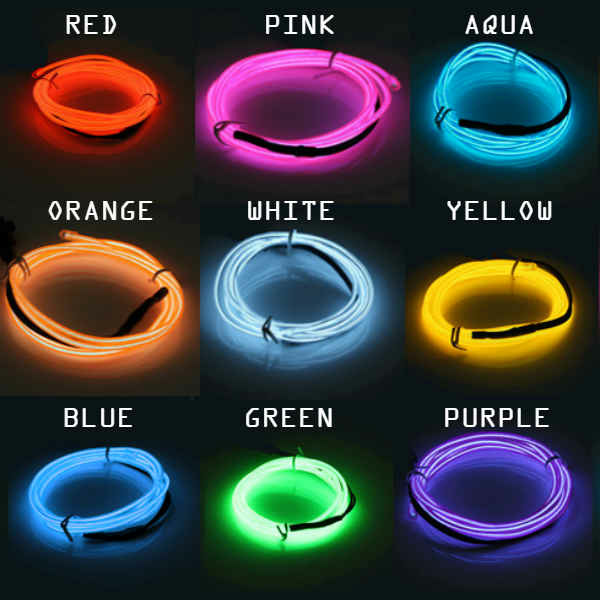 Single color of Neon Wire in a custom design of your choosing. You can choose from any of our jackets (above) or we can find a jacket that works for you. Does the phrase "Cat's Pajamas" mean nothing to you? Do you need to a lit-up Mona Lisa? We're talking EXTRA EXTRA. Wild jackets . Multiple neon colors. Total illumination. Join the Illuminati. (In 4-6 weeks-- mention you need a rush job to get yours in time). *No returns on custom orders. We have the right to refuse any designs we deem inappropriate or offensive. Our team of experts will get back to you within 48 hours with the required next steps.